In a transaction-time temporal object database system (ODB) an object update creates a new object version, but the old versions are still accessible. Each object version has an associated timestamp, and this versioning, related to time, is supported and maintained by the system. The system also provides support for querying the temporal data. The area of temporal ODBs is still immature, and there are many design issues that need to be solved. 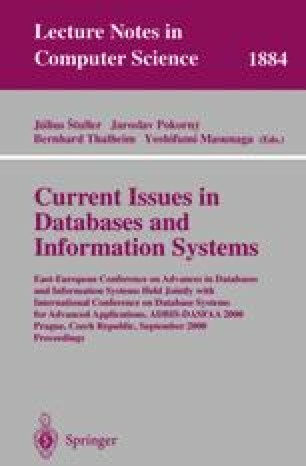 In this paper, we discuss some issues and possible solutions derived from the design of the Vagabond temporal ODB. This includes physical object storage, clustering of temporal objects, OID indexing, and language bindings in a temporal ODB.